Just choose a design from the Website and email your requirements and we will confirm costs to you. Or if you prefer we can create a totally bespoke calendar for you, all we need are any images you would like included plus details of the company heading required. 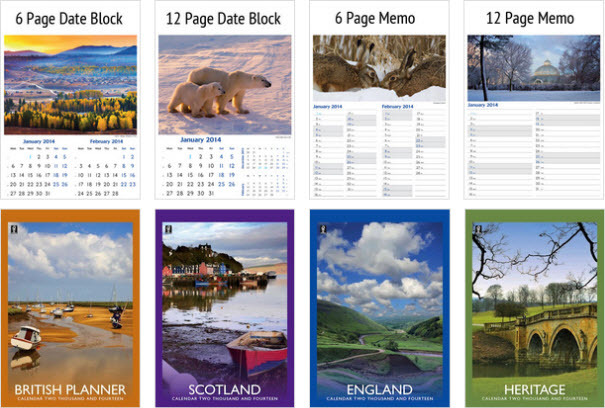 Our range includes all the popular calendar formats such as Wall, Desk and CD, or we would be happy to design something unique to you. If you have something in mind that will make you stand out from the crowd we would welcome the opportunity of helping you achieve your aims. Ask us about trade diaries too !